I don’t really know how to start this other than by repeating the title of this post – Motorola, what the hell is going on with you? I ask, because the current Motorola is so far removed from the revived Motorola we had really become to enjoy again over the last couple of years. Sure, that lovable Motorola was created in part by Google and the team of executives they put in place to run it and we now have new ownership in Lenovo, but who would have thought that things would have gotten this ugly this quickly under the China electronics giant. So much for software updates. If we rewind a bit back to 2013 and the introduction of the original Moto X, I think it’s safe to say that most in the tech industry understood what Motorola was doing and loved it. They were taking Google’s vision for Android, keeping it, and then adding highly useful features on top instead of bloating the experience up with a custom skin. But not only that, they were talking quick software updates because they were ready to work with carriers and Google to make them happen. And that did happen. 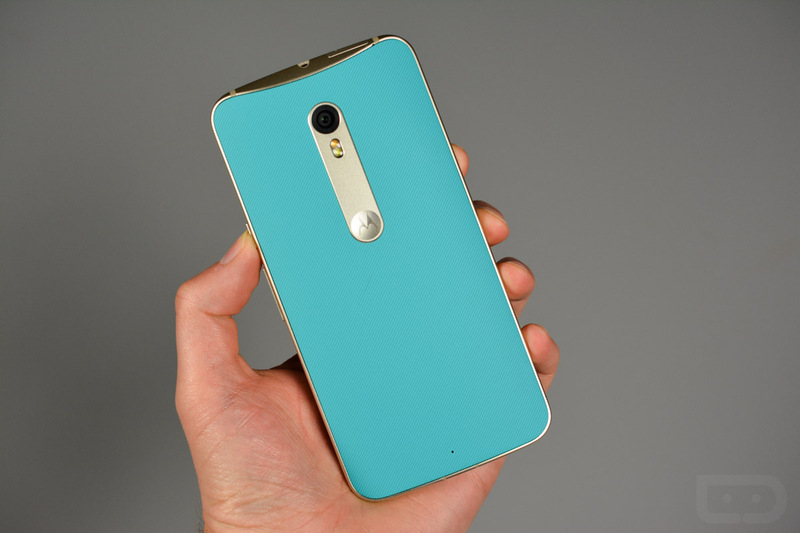 The original Moto X on Verizon received the update to Kit Kat before most Nexus phones. It was an insane success that needed a close relationship with Verizon, a notoriously slow updater, in order to succeed. From there, the software updates continued to flow through carrier and unlocked models in rapid fashion. Today, it’s about as far to the opposite as one can even attempt to imagine. Before we get to the current disaster of a situation, we should point out that the update frequency and timeliness started dropping off last year, just as the acquisition of the company by Lenovo was finalized. As you know, Lollipop was last year’s big update and let’s just say that Motorola getting its phones updated properly to it was nothing short of a mess. They came out swinging initially with an early update to their new Moto X (2nd Gen) “Pure Edition” before realizing that Google had actually released a pretty spotty and buggy version of Android. Once that realization came through, in came the delays for months and months and months, even though Google had issued stable fixes. Motorola was able to slowly update its 2014 Moto X, but its 2013 Moto X, Moto G and E models, and DROID Turbo were essentially left as 2nd class citizens, especially those on Verizon. Computerworld does a great job at tracking software updates by manufacturers and gave Motorola a “D” score this year after putting up an “A+” the previous year. In case you were wondering, that “D” is the lowest of any major manufacturer. Fast forward to today and things are only worse. Motorola took a minute shortly after Google announced Android 6.0 Marshmallow to share the devices they planned to update to the new build. They said not to expect ultra-fast updates, and that’s fine after last year’s Lollipop mess. But the fact that they left out the carrier versions of last year’s Moto X (2nd gen), a flagship phone barely a year old, and the last two Moto E phones, left a whole bunch of Motorola fans disappointed, angry, and ready to leave the Chicago-based manufacturer behind for good. You should see Motorola’s forums. So we have gone from updating phones at record paces to phones around a year old, some that are flagship-level phones, being cut off by Motorola. To make matters even worse, at least from our perspective, is the fact that their press teams won’t even respond to comment on the situation. We have reached out twice now and are left with silence. So outside of a note from a Motorola forums manager about the carrier (Verizon and AT&T) Moto X (2nd gen) phones not getting updated, we have no other confirmation and no official answers to even share with you. It’s not only the software update situation that is troubling, though. Our inbox, since the Moto 360 (2nd gen) and Moto X Pure Edition went up for pre-order, is filled with emails about delays in orders and shipments, and about attempts at cancellations. And the thing is, we experienced most of the issues that our readers continuously tip us about. For example, two out of the three orders that have shipped to us (Both Moto 360 and Moto X Pure) from China had issues when they arrived stateside, often seeing 1-2 day importing delays. The reason, which many of our readers are seeing as well (or go look at Motorola’s forums for more examples), has to do with a value discrepancy in the packages Motorola is shipping. While I’m no shipping expert, that seems like a pretty bonehead error to continually have over and over from a company this large, who is preaching the value in custom made phones out of China. But we are also seeing delays in phones and watches being put together before they ship. We previously ordered a Moto X Pure Edition for Tim that took just over a week to be assembled, ship, and arrive on his doorstep. Unfortunately, it had a volume rocker issue and had to be sent back. We re-ordered him a new one the same day we shipped the bad phone back. That was September 30. His new order, which was for the exact same phone with the same design, still isn’t here. Motorola has been assembling it since October 1 and has estimated since then that it would arrive to his house by October 16 – tomorrow. It hasn’t even shipped and it’s October 15. Why the delays and shipping issues? Tough to say. Maybe it’s because Motorola and Lenovo are still working out the kinks through China fulfillment. Either way, we are far removed that 2013 promise of 4 days or less. That’s anyone’s guess. In a recent interview with The Information, Rick Osterloh, current chief of Motorola, said they will start to focus on improving hardware aspects of their phones, like cameras, while continuing to make them affordable. That’s fine and all, because Motorola still does make pretty outstanding products, but that’s not going to do much if they ruin all of the relationships they have with current customers. Good products only get you so far. You still need to have teams in place to support them post-sale and I just don’t feel like Motorola has that at this time. There have been massive layoffs since Lenovo took over, which has to leave you wondering if they even have enough bodies to keep up. Motorola needs to say something. They need to break this silence and maybe even make some promises to get things back on track. The current situation isn’t great in terms of both shipments and software updates, just read through our comment threads on every Motorola post. It’s too bad too, because new DROID phones are coming in two weeks, both of which will likely be solid phones, but how could you even consider buying them after this year’s DROID Turbo update fiasco and the cut-off of the year-old Moto X (2nd gen)? So again, Motorola, what the hell is going on with you?